Why is the frequency effective in the body? 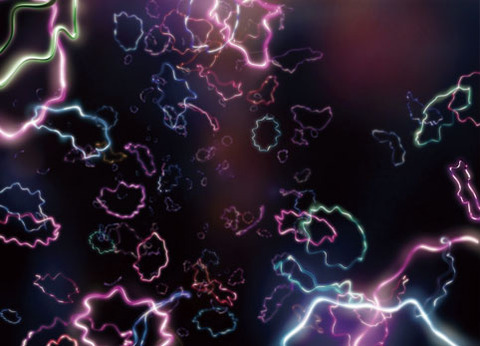 We know that this universe is oscillating from the level of quantum below elementary particles, and everything visible to us is interlaced woven with vibrating energy. "Everything is vibration and its effect. In reality no substance exists. Everything consists of vibration. "It states. There is a substance frequency of each substance. Likewise, human organs have different frequencies that are specific. 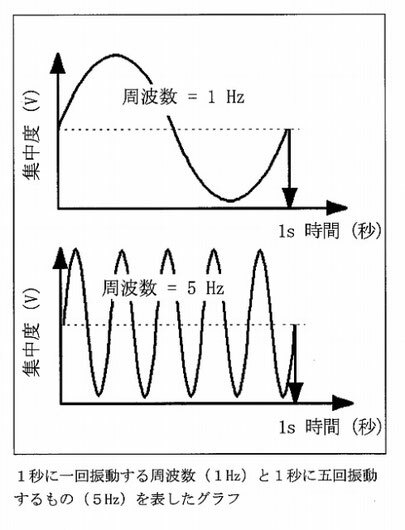 As shown in the figure below, how many times to change direction per second, that is, frequency. The unit is expressed in hertz. 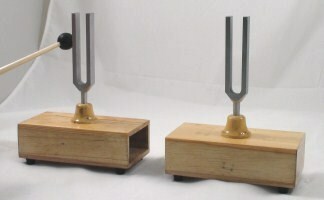 In the case of sound, 1 Hz amplitude once at a distance of approximately 340 m.
Here, there are tuning forks that produce the same sound. A tuning fork is an instrument that can release a sound of a certain height often used for instrument tuning, and many people know that. 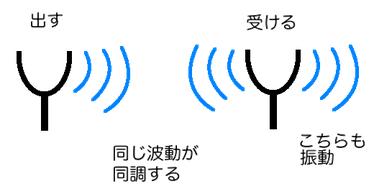 As shown in the figure below, the tuning fork, which sounds the same frequency, calls one of the tuning forks, so that the other tuning fork sounds when receiving the vibration is called resonance. There are specific frequencies in human body parts and organs, and their frequencies are influenced by external vibration. At this time, if the frequency of your body's organs is kept properly, you are in a healthy and harmonious state and you can say that it has a high natural healing power. 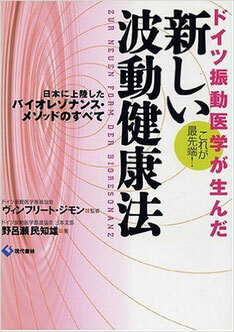 However, it is considered that natural healing power declines and becomes sick, if correct frequency that is supposed to be supposed owing to disorder of life is supposed, it is thought that it becomes sickness, and by applying the correct frequency to the body, it is corrected to the correct frequency to have inherently It is said that the thing that aimed at this effect is Youtube video channel called "428Hz Hybrid Sound. And, in famous place "German Oscillating Medicine", adjusting its frequency (do wave adjustment) is done in Germany. What is German Oscillatory Medicine? German vibratory medicine is a new health law (therapy) that pulls out and regulates its vitality by actively working on the human body. Already in Germany, therapists of naturopathy do not only achieve great results using it, but also many doctors are introducing it in general hospitals. 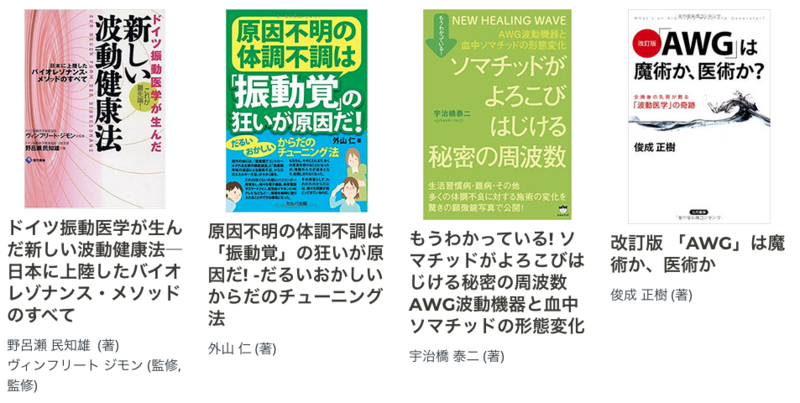 In Japan, wave medicine is more commonly known, but vibratory medicine is a bioresorance method (biological resonance method), a completely new "air and wave" wave health regulation from Germany. In Japan, it landed about ten years ago, it spread to therapists such as doctors and dentists, acupuncturists, veterinarians, and more attention was paid to health maintenance of general people, and now people who use it expand It is. Oscillatory medicine began with a genius scholar, Paul Schmidt in Germany, that inspired the bioresonance method (biological resonance method) in the early 1970s. Of course, there were "quantum theory and quantum mechanics" which was said to be the big revolution of physics that occurred in the beginning of the 20th century on the basis of the idea, but it is said that there were two other big hints as follows. Law "(a similar mechanism also for O-rings for strength). The idea of "Meridi" which is "Meridian" and "Chakra" which is the entrance to the air. Speaking briefly, it is "Health law that adjusts the flow of life energy that is the body's mind by utilizing the resonance phenomenon of wave". The first "wave transmitter" was prototyped in 1976, and a number of experiments were conducted under the following three hypotheses. Due to organs, tissues, work, etc., have unique frequency. And that health is to be compromised. That stagnation will disappear and "qi" will again flow actively. Three such hypotheses are made, research and development of the new vibration medicine bioresonance method different from Western medicine so far were done, and as a result, these hypotheses were made by Western medicine doctors and many therapists It has been proven and has reached today. Other researchers and equipment related to various frequencies exist.